Marvel Returns to C2E2 with Signings, Panels, and More! 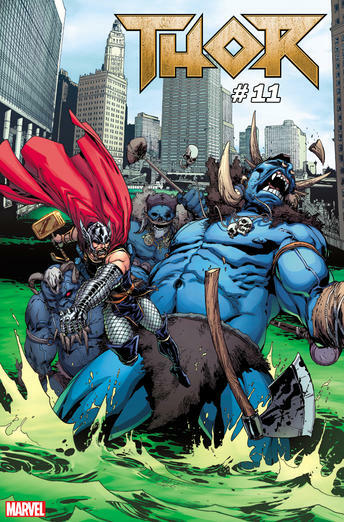 Marvel hits the windy city this weekend to give away some swag and break some big news! This weekend, Marvel is taking Chicago by storm at 2019's Chicago Comic and Entertainment Expo! And you won’t want to miss what we’ve got in store, as we’re packing this year’s convention with wall-to-wall fan service including signings, panels, stage events, and more! Heading to C2E2? 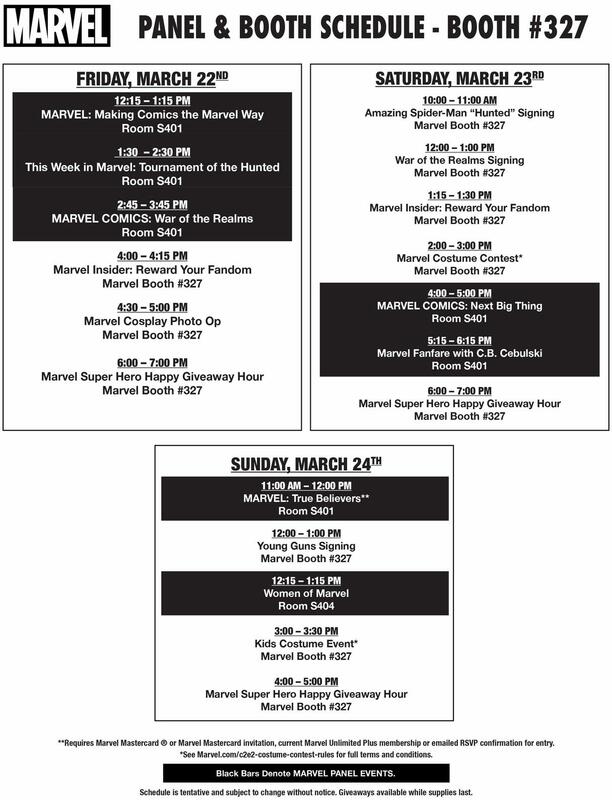 Make sure to stop by the Marvel Booth (#327) and check out all the exciting events happening at all weekend -- signings, giveaways (while supplies last), costume contests, and more! That’s not all! 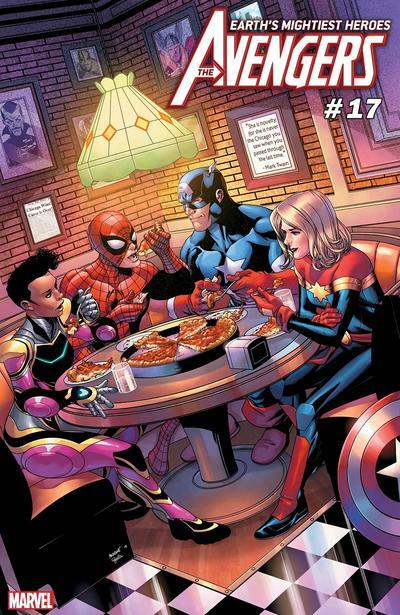 This year’s show features appearances from the celebrated artists of Marvel’s 2019 Young Guns program, including Aaron Kuder, Russell Dauterman, and Pepe Larraz! Originally launched in 2004, Marvel’s Young Guns program spotlights the best up-and-coming artists in the comic book industry. Don’t miss your chance to meet the next generation of elite artists at C2E2 this weekend on panels and at the Marvel Booth! For more information, check out https://www.marvel.com/youngguns. Plus, don’t miss an all-star line-up of some your favorite Marvel creators! Swing by the Marvel booth for scheduled appearances by Jason Aaron, Matt Wilson, Arthur Adams, Jonathan Hickman, Stanely “Artgerm” Lau, Robbie Thompson, Ed McGuinness, Andrea Broccardo, Ashley Witter, Will Sliney, Matt Rosenberg, Rachelle Rosenberg, Chris Claremont, Stephanie Hans, Greg Horn, Nick Spencer, Humberto Ramos, Ryan Ottley, Tini Howard, David Baldeon, Declan Shalvey, Daniel Kibblesmith, Eve Ewing, and Jeremy Whitley! 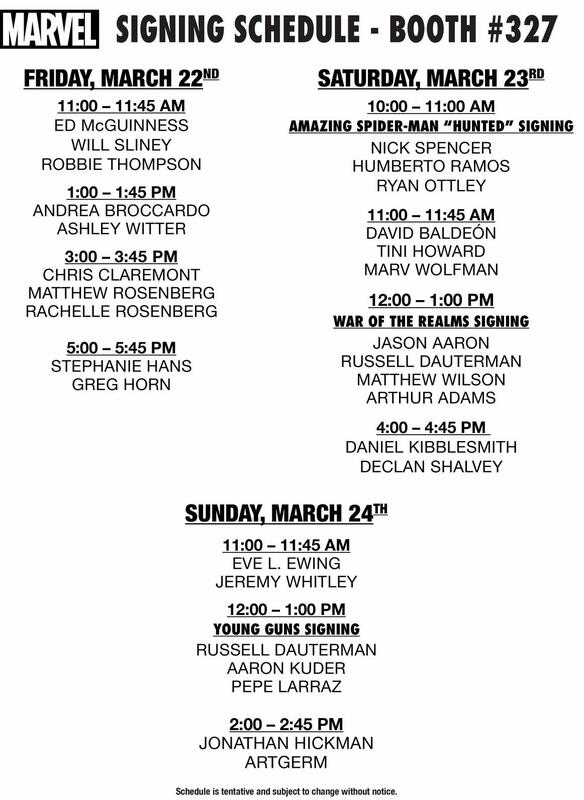 Check Marvel's signing schedule below for details on their signing times and the panel schedule so you won't miss a thing! Stay tuned to Marvel.com and keep an eye on Marvel’s social feeds for news, updates, and more from C2E2 2019!